Easily accommodate a range of ages and sizes with the Height Adjustable Flipper Table, the most flexible table on the market. 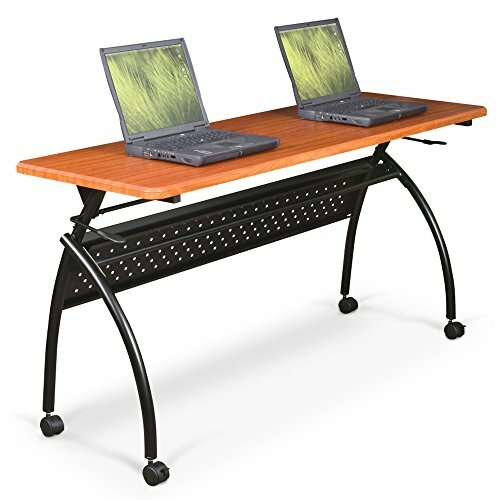 The Height Adjustable Flipper Tables adjust from 24 1/4-Inch to 32 3/4-Inch height and flip back with a simple one handed lever mechanism to allow for easy nesting and storage. Each features a 1-Inch thick HPL top available in Amber Cherry. The black powder-coated steel frame includes a stabilizing stretcher bar and 3" locking casters. Optional modesty panel available (SKU66626). Tested to support up to 300 lbs. Easily create a multipurpose work area with versatile Flipper Conference & Training Tables. Create multipurpose work areas in a conference room, training room or office. Chi Flipper Conference & Training Tables. Elegant Chi Flipper Tables are the ideal table for virtually any training or conference room setting. Versatile and mobile tables are stylish and functional. 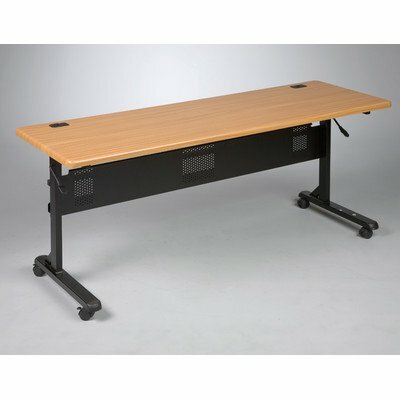 The Chi Flipper Seminar Table is ideal for seminar set ups training environments and is ideal for use with today’s smaller notebook and tablet computers. Tops flip back for easy set up break down and storage. Vacuum-formed PVC top in cherry wood grain with a black powder-coated steel frame. Tables coordinate with other Chi table offerings. One space-saving table easily sits up to three people. The Baby Folding Easel is a mobile classroom on wheels, the ideal teaching and learning station for any early educational environment. Two dry erase marker board surfaces measure 43\"H x 29.75\"W with an accessory tray on each side. Wire book rack included to hold books upright. Available standard with a storage tray, or upgrade to a sturdy wire rack with four recyclable plastic storage tubs. Frame is white powder-coated steel with 2\" locking casters. 89775 Finish: Mahogany Features: -Versatile. 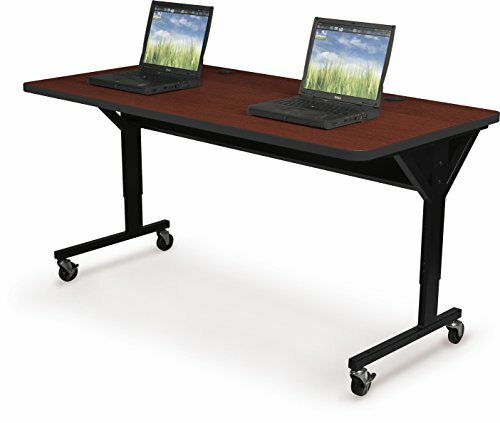 modular, mobile, and easy to store.-Creates multipurpose work areas in a conference room, training room, or office.-A lever releases table surface for storage in upright position.-Store away or roll out on 2'' casters (2 locking).-Black powder-coated steel frame with teak 1 1/4'' thick top and waterfall edge. Includes: -Includes modesty panel/integral cable trough and grommets. 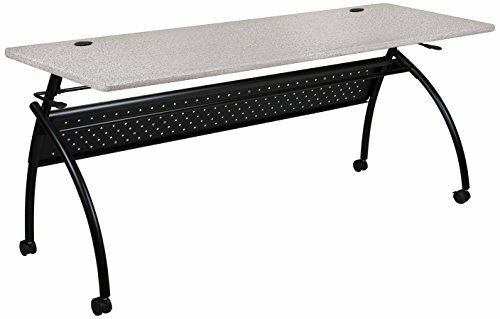 Dimensions: -Dimensions: 29 1/2'' H x 60'' W x 24'' D.
Heavy-duty Brawny Training Tables are ideal for use in training rooms, maker spapces, classrooms, as workstations, or as general purpose tables for any work area. 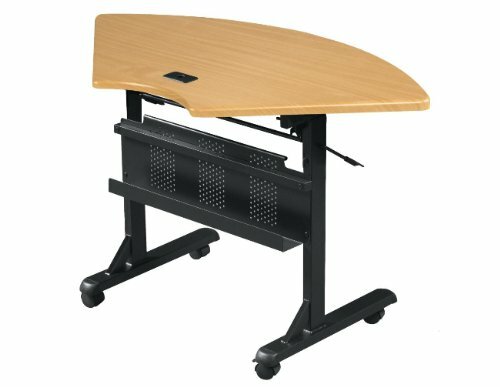 Height adjustable tables can be set from 25 1/2" to 33 1/2". Top is a hefty 1 1/4" thick scratch-resistant HPL with grommets. Black powder-coated steel frame includes both glides and 3" casters (2 locking). 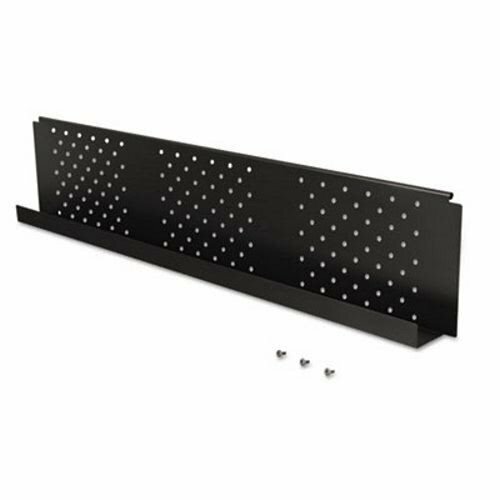 Supporting underside stretcher bar provides superior structural strength and durability and includes a steel cable management tray that provides additional stabilization. 10 year guarantee. GREENGUARD Indoor Air Quality Certified and GREENGUARD Children and Schools Certified SM. Tested to support up to 300 lbs. 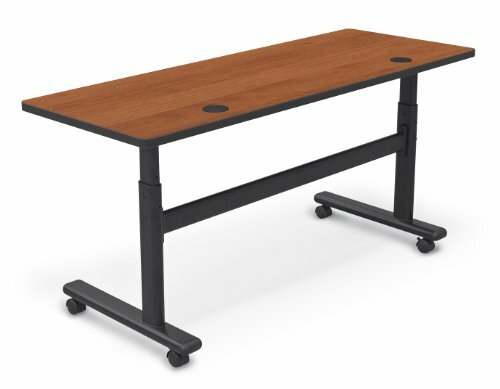 Optional modesty panel available for 60x24 Height Adjustable Flipper Table (Model 90179-7919-BK, Model 90179-4622-BK, Model 90179-7928-BK), the most flexible table on the market. The TMIE is a versatile addition to any educational environment. 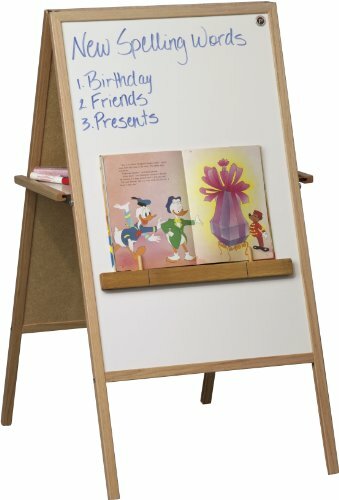 Magnetic dry erase markerboard on one side and magnetic chalkboard on the other. White magnetic book ledge is included to hold books up for easy viewing during story time. With classic design and modern good looks, Mentor Seminar Tables are space-saving and economical. Looking for more Balt Folding Table similar ideas? Try to explore these searches: Dell C-Series Laptop, Chocolate Pink Leggings, and Apple Kitchen Timer. 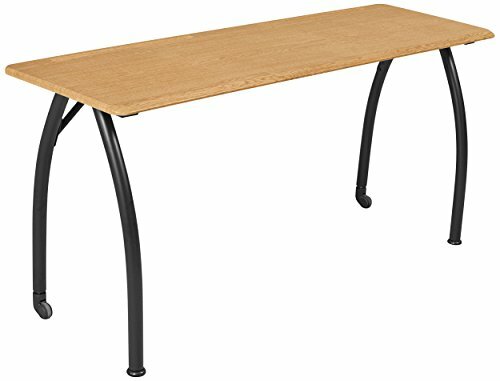 Shopwion.com is the smartest way for comparison shopping: compare prices from most trusted leading online stores for best Balt Folding Table, Honda Accord Sway Bar, Country Curtain Fabric, Folding Table Balt . Don't miss this Balt Folding Table today, April 20, 2019 deals, updated daily.